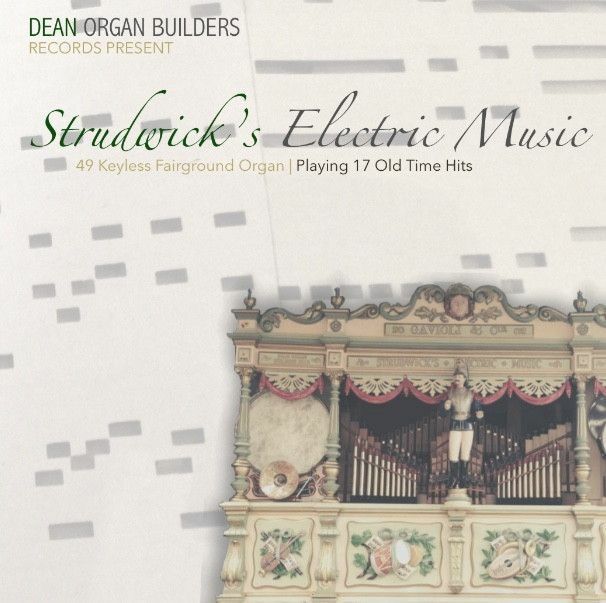 This mechanical music CD features tracks played on a 49 keyless fairground organ. The Strudwick organ started life as a Gavioli instrument and has had a colourful history, culminating in being rebuilt by Dean Organ Builders in 2013. The instrument is a typical example of a medium sized English fairground organ, having spent much of its life in the centre of a set of galloping horses ("Gallopers / Carousel"). The CD insert details a short history of the instrument. 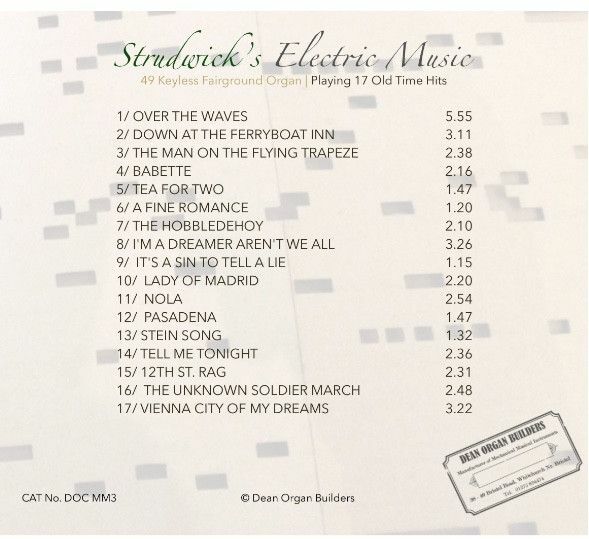 This CD features 17 Old Time Hits including 'Over The Waves', '12th Street Rag', 'Nola' and 'Tea For Two'. It is the perfect gift for the organ music lover.